Washington — Jon Snow got into serious trouble for refusing to lie about his loyalties in the Season 7 finale of Game of Thrones. But honesty can be an economic virtue. People who trust each other are more likely to do business. We discuss the benefits of collaboration and trust, and the perils of going it alone, in this week's Wealth of Westeros, the Associated Press audio series on the economics behind HBO's Game of Thrones. Honesty looked like a mistake when Jon Snow rejected Cersei Lannister's demand for an oath of loyalty, almost causing a breakdown in crucial negotiations. He refused to deny that he'd already sworn allegiance to another: Daenerys Targaryen, Mother of Dragons, Breaker of Chains, etc. "Have you ever considered learning how to lie every now and then? Just a bit?" said an exasperated Tyrion Lannister. But Snow argued that lies are corrosive. "When enough people make false promises, words stop meaning anything, and there are no more answers — only better and better lies." Economically, Snow has a point. Distrust is death to commerce. Why sign a contract if you suspect your would-be partner won't live up to its terms? The World Bank economist Stephen Knack once said the economic chasm dividing the United States and impoverished Somalia could be explained entirely by the difference in the levels of trust within each country. The lords of Westeros are trying to trust each other and set aside their petty squabbles as they rally against the forces of darkness: The Night King's zombie army. Cersei has tricked Jon and Daenerys into thinking she'll join their desperate defense against Night King. Instead, she's secretly importing an army of mercenaries to defend her claim to the Iron Throne. Her calculation: Jon and Daenerys will defeat the Army of the Dead, but the zombie-fight will leave them so weakened that she can finish them off later and rule the realm alone. Economists have a name for people like Cersei. And it's not an expletive. They call her a "free rider" — someone who lets others do what has to be done and reaps the benefits without contributing to the cause. But going it alone is risky, too. Littlefinger, loyal to no one, tried to pit Arya and Sansa Stark against each other and worm his way into power. In the season finale, he paid for his treachery with his life. Sansa later reflects, quoting her late father, that "the lone wolf dies, but the pack survives." Also dubious is the Iron Bank of Braavos' decision to back Cersei Lannister even though Westeros is under zombie attack and her mortal enemy, Daenerys, has at her command two dragons and a vast army that includes the fearsome Dothraki horse lords. 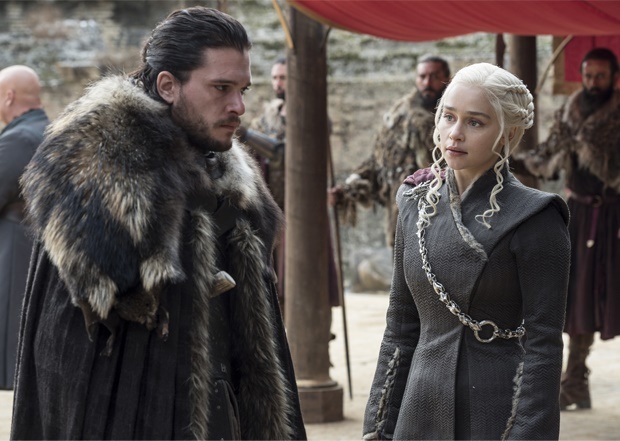 "Frankly, as a central banker, I'm very worried about the Iron Bank's business model," said our guest this week, Mark Wright, Game of Thrones fan and research director at the Federal Reserve Bank of Minneapolis. "We have them lending again at a time when the ability of Westeros to generate foreign-exchange revenue to repay the bank has got to be pretty low. You've had a war raging over the seven kingdoms. You've got winter, which is going to wipe out agricultural production... I'd be pretty worried about the Iron Bank getting repaid anytime soon. So what would Wright do? "I'd want to have a good look at the vault, see how many reserves they have on hand," he said.